Last week I covered some of the US safety standards that apply to to machine building. As Tony mentioned in his comment on the subject, not all machines stay in the USA. This week I am going to discuss European standards. In 1995 a law was passed applying to all machinery built for use in the European Union (EU) and European Economic Area (EEA). The law mandates that machine builders comply with the Machinery Directive on safety and indicate compliance by placing CE marking on their machinery. 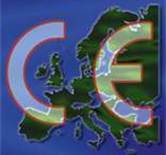 CE stands for Communate’ Europe’ene, or European Community. Although this directive is European in origin, since components are sourced from around the world and the final destination of a product may not be known to the manufacturer, these regulations impact companies everywhere. The Machinery Directive applies to machines functioning as a whole unit as well as interchangeable equipment modifying the function of a machine. It is a comprehensive set of rules applying to safety and is officially referenced as 89/392/EEC. These requirements cover every aspect of the machine: mechanical design,electrical design, controls, safety, and the potential for the machine to create hazardous situations. While the directive discusses controls and safety components, it only does so in the context of designing a safe machine as a whole. The directive states that most manufacturers can self-certify, clearly stating exceptions. Some confusion arises when designers assume that this means if using components with CE marking that their machine will meet CE requirements, this is not true. CE marking on a control component usually indicates compliance with the Low Voltage or Electromagnetic Compatibilty directive, this is an entirely different set of regulations. A similar analogy would be assuming that just because UL-listed components are used in a control panel that the panel meets UL requirements. To create a UL approved panel, components must be wired and installed using an acceptable methodology, the National Electric Code. CE marking of machinery follows a similar reasoning. Self-certification of equipment involves the examination of standards (types A, B and C; applies to various aspects of safety by classification of machinery). Machinery is then tested against the requirements, “information for use” documentation is generated, if self certification is allowed a Declaration of Conformity is signed and the CE marking is affixed to the equipment. If self-certification is not permitted according to the Machinery Directive, an “EC Type Examination” is submitted for. EN regulations or “European Norms” state the specific requirements of the directives. The key standards for clarification are EN-292-1 and EN-292-2, Safety of Machinery. EN-292 provides machine designers with basic concepts and terminology of machine safety including safety critical functions, moveable guarding, two hand control and trip devices, descriptions of hazards, and strategies for risk assessment and reduction. The entire EC Machinery Directive (89/392/EEC) consists of 14 articles describing the requirements of manufacturers and European member states as well as procedures involved in the marking and associated documentation. There are also 7 “annexes” or appendices elaborating on requirements. Much of the information on CE requirements I obtained from a Rockwell Automation/Allen-Bradley publication called “Understanding the Machinery Directive”, Publication SHB-900. Unfortunately the directive itself along with many NEC and NFPA regulations are only available for purchase and are not inexpensive.. this publication has come in handy for me in the past however as it has important excerpts from the directive and some great FAQs. Every machinery has its own directive when it comes to its operation, and everyone who uses this machine needs to well know how it is operated. I once attended a machinery directive and I’ve learned so much. It’s a very interesting seminar. With the CE marking, a manufacturer declares having respected and applied the corresponding harmonised standards, guidelines and requirements for his product and having carried out the related conformity assessment. The CE-Mark must be affixed, if a product is subject to the CE-Marking. By affixing a CE-Mark, a manufacturer declares that his product complies with all applicable requirements and that he assumes the full responsibility for it. It must be ensured that products imported from a third country into the Community respect all requirements of the latter one and specially that the applicable conformity assessment was carried out by the manufacturer. This also concerns second hand and used products. Member States shall lay down the rules of penalties applicable by infringement of provisions. The penalties must be effective, proportionate and dissuasive. The manufacturer shall ensure that a risk assessment is carried out. The product is designed and manufactured according to results. The risks assessment serves as proof that a manufacturer respected the corresponding security and health requirements. ·	The operating manual must be drafted in one or more official Community languages. ·	The wording and layout of the operating manual must take into account the level of general education and acumen that can reasonably be expected from operators.